Markets are holding their collective breath. Not much is happening. But the potential for huge moves has not been greater since late 2015. The euro is meandering between $1.16 and $1.17. Gold is going sideways between $1,270 and $1,295 per ounce. The yen is trading around 113 to the dollar. The yield to maturity on a 10-year Treasury note is stuck around 2.35% with just small moves on a daily basis. If you had positions in these global macro markets two weeks ago and spent those two weeks in a submarine without surface communications, you would have emerged from undersea to find nothing had changed. It’s as if you were never away. Of course, the mother of all complacency metrics is volatility in the stock market. It’s near all-time lows and has been stuck there for an unprecedented period of time. No worries here; it’s all good. Why? 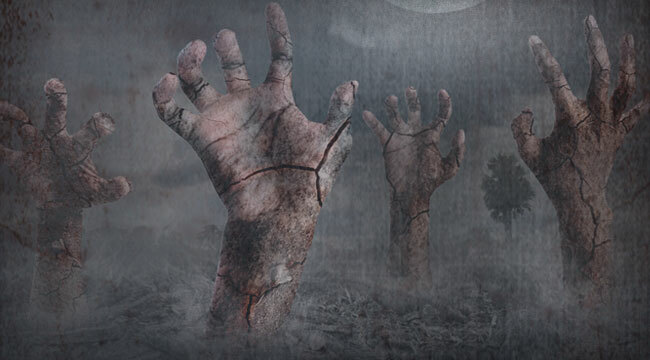 Why are markets moving sideways in a complacent, almost zombie-like state? The reason is that the world is waiting for the Fed. The Fed’s FOMC meets Dec. 13 to make a decision on interest rate policy. It’s too bad that so many so-called “free markets” are in thrall to the Fed. That means they’re not really free at all. Markets are creatures of manipulation by Fed policy changes, statements, forward guidance and the other prestidigitation of modern central banks. That’s what you get after 10 years of ZIRP, QE, tapering, QT, forward guidance, currency wars and musings about NIRP. The Fed has painted itself into a corner and there’s no way to escape the room. The market is in an asymmetric unstable equilibrium. Right now markets are giving odds of a Fed rate hike in December at close to 100%. This means that markets have priced in 100% of the impact of that policy choice. It also means that if the Fed does not hike rates, markets are in for a shock and will have to reprice violently. My estimate of the odds of a Fed rate hike in December is about 35%. Odds are the Fed will not hike and markets will violently reprice in a matter of one or two days. It’s a “heads I win, tails I don’t lose” situation. If you’re long euros, yen, gold and Treasury notes and the Fed hikes rates, not much should happen, because that outcome is already priced in. Conversely, if you have those positions and the Fed does not hike rates, you can score huge gains on all of them as markets adjust to a new dovish Fed. Forget how the market is pricing the outcome. The Fed funds futures market has been off by orders of magnitude before. In mid-February 2017, the futures markets gave the odds of a rate hike in March at 30%. I was giving 80% odds. Within three trading days at the end of February, the market odds shifted from 30% to 80% before converging at 100% by the March meeting. That does not mean I’ve got it right this time (although I’m standing by my estimate because it’s based on a reliable model). But it does illustrate that the futures market does not always get this right — not even close. A government data release on Nov. 30, 2017, will tell the tale. It’s the PCE core year-over-year inflation metric, the one the Fed itself prefers. If it’s 1.6% or higher, the Fed will hike rates. That still leaves two weeks before Dec. 13 to unwind your trade with little or no damage (absent geopolitical shocks). If it’s 1.3% or less, the Fed will not hike rates. The long positions in euros, gold, yen and T-notes will all be huge winners. Or they could be persuaded that disinflation is a problem and they should pause. How’s that for data dependence?